It was once a great struggle for a woman to even be considered for a medical education in the United States—or anywhere, for that matter. Only the strongest, most dedicated women managed to achieve a degree, and they deserve to be remembered for their efforts. These early pioneers in the medical field opened the doors for the many woman doctors who followed. Dr. Ann Preston (pictured above) was a teacher who worked to educate women about their own bodies. She always continued her own education, too, and worked as an apprentice to a doctor before applying to four different medical schools in Philadelphia, and was rejected—just like all the other female applicants. When the Female Medical College of Pennsylvania was founded in 1850, Preston enrolled in its first class. She graduated a year and a half later, then became a professor at the school. Meanwhile, she founded the Woman’s Hospital of Philadelphia, and changed the name of the school to the Women’s Medical College of Pennsylvania. In 1866, she became Dean of the college, the first woman to hold the title. Preston then fought for the right of her students to attend clinics at various local hospitals just like male medical students. It was not an easy battle. In 1868, Preston’s students were allowed to observe a clinic at Blockley Hospital. When the first women arrived, however, they were met by an angry demonstration. The male medical students shouted insults and threw paper, tinfoil and tobacco quids at the women. The female students remained composed and attended the clinic, but on their way out they were pelted with rocks. It would not be the last time such behavior greeted the doctors-in-training. But Preston kept up her support of her medical students even as her own health failed. She died in 1872 and bequeathed her assets to the the Women’s Medical College of Pennsylvania to fund scholarships. Dr. Mary Edwards Walker was the only woman in her medical school class in 1855. Her medical practice floundered because few people trusted a woman doctor. Walker volunteered her service to the Union Army, but was not allowed to enlist, so she served as a volunteer. She was not allowed to serve as a doctor, either, so she served as a nurse—at first. 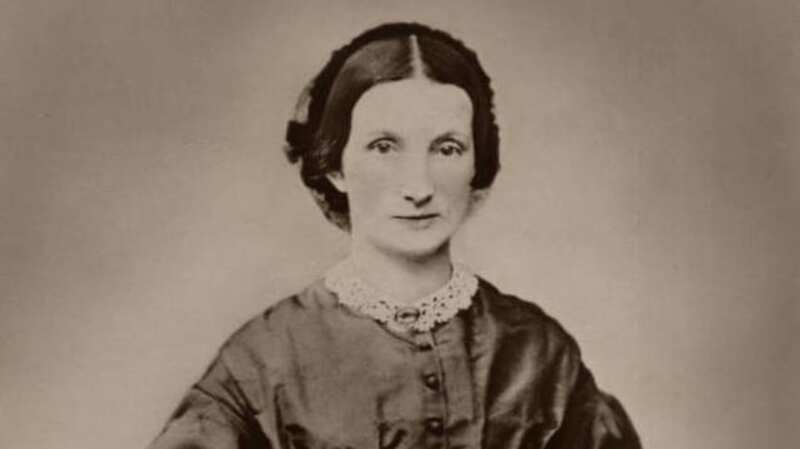 Walker ministered to the wounded at the First Battle of Bull Run and worked her way into the position of a field surgeon's assistant. She was awarded an army commission 1863, but was still technically designated as a civilian worker. Walker was taken by the Confederacy as a prisoner of war for several months in 1864 and was accused of being a spy. She continued to serve until the end of the war. In 1865 Walker became the only woman ever to receive the Medal of Honor, for her efforts at the First Battle of Bull Run. After the war, she campaigned for women's rights, temperance, and even ran for political office—before women even had the right to vote. “…a proper field for real missionary work, and one that would present ample opportunities to become acquainted with the diseases of women and children. During my stay there nearly every hour was improved in that sphere of labor. The last quarter of the year 1866, I was enabled . . . to have access each day to a very large number of the indigent, and others of different classes, in a population of over 30,000 colored." Crumpler returned to Massachusetts four years later and opened her own practice. She wrote Book of Medical Discourses, which includes her biography, but mostly focuses on how women can meet the medical needs of their families. It was published in 1883. In spite of her place in history, there are no existing photographs of Dr. Rebecca Lee Crumpler. "There have been instances, and I have seen such, of females... graduated from school or college excellent scholars, but with undeveloped ovaries. Later they married, and were sterile." Clarke’s rationale was that a woman couldn’t menstruate and think at the same time, and trying to do so was dangerous. Therefore, keeping women out of colleges and universities was for their own good. Few took exception to Clarke’s opinions, but one who did was Mary Putnam Jacobi, a doctor, scientist, and extraordinary woman of her time. Jacobi earned a medical degree at Woman’s Medical College of Pennsylvania in 1864 (where she received her M.D. at age 22), then went on to study at France’s famous École de Médecine, where she was the first woman ever admitted. Dr. Jacobi objected to Clarke’s views, but knew that her opinion wouldn’t matter a bit. Instead, she used research. Jacobi gathered empirical data on real women, and presented her findings without emotion or personal opinion. Jacobi’s work won awards and helped to break down barriers in women’s education. Dr. Georgia E.L. Patton was the first black woman to be licensed as a doctor in the state of Tennessee. She was born into slavery in 1864, and became the only member of her family to graduate from high school. Her brother and sisters worked to help her pay for college, then she continued to the Meharry Medical Department of Central Tennessee College, where she earned her medical degree in 1893. Patton left immediately for Liberia as a medical missionary, where she served for two years despite her church’s refusal to fund the trip. Patton contracted tuberculosis on what she thought would be a temporary trip back to the U.S., and never fully regained her health. Still, she set up a private practice in Memphis, where she was the only black female doctor. Patton practiced there for a few years, married, and had two children who died in infancy. Patton was only 36 years old when she died in 1900. Dr. Sara Josephine Baker got her M.D. from the Woman’s Medical College of the New York Infirmary in 1898. Her private practice made so little money that she went to work for the City of New York as a medical inspector. Working with the poorest immigrants in the Hell’s Kitchen area, Baker became dedicated to preventative care. She knew that educating people on basic infant care, nutrition, and sanitation could save many lives and health care resources in the long run. Baker was appointed assistant commissioner of health for the city in 1907. She began programs that to provide New York residents with prenatal care, childcare classes, infant formula, baby clothes, vaccines, and milk. She took babies out of orphanages and put them into foster care, where they would receive individual attention, leading to a lower death rate. She was also instrumental in catching Mary Mallon, known a Typhoid Mary, twice. Dr. Baker became famous for getting results in public health, and in her later years was in demand to teach her methods in other states and in cities around the world. This is the beginning of a series of posts on woman pioneers in medicine.